A wall stands at a home destroyed by the Tubbs fire in the Fountaingrove area of Santa Rosa. 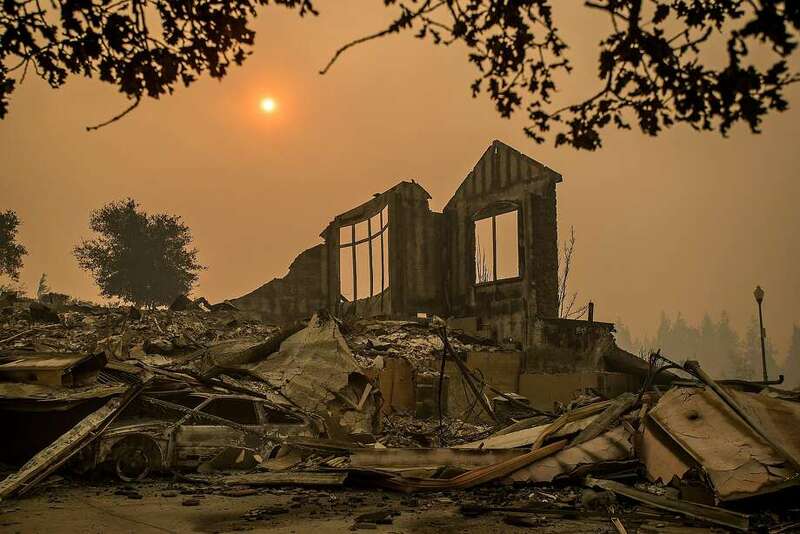 Most insurance companies have agreed to pay policyholders who suffered total losses in the California wildfires more than 25 percent of their contents limit without requiring them to submit a detailed inventory of items lost, according to the state Department of Insurance. Most insurance companies have agreed to pay policyholders who suffered total losses in the California wildfires more than 50 percent of their contents limit without requiring them to submit a detailed inventory of items lost, according to results of a survey by the Insurance Department released Thursday. Normally insurance companies require customers who file a contents claim to submit a detailed inventory of every item they lost, including the approximate purchase date and original price. They generally require customers with replacement cost coverage to actually replace each item and provide a receipt if they want to collect its full replacement cost, rather than just its depreciated value. This can be a long and painful process. In a Dec. 21 notice, he asked all companies with total-loss claims “to follow the lead of other insurers who are providing up to 100 percent of contents (personal property) coverage limits without requiring the insured to undertake the onerous task of completing a detailed inventory.” He asked insurers to let his department know by Jan. 8 whether they would comply with the request.The department said companies representing 97 percent of the total-loss residential claims agreed to pay more than 25 percent of the contents limit without a detailed inventory. Thirty-four companies, including most of the state’s largest, agreed to pay at least 50 percent of contents without an itemized list. They include State Farm, Farmers/Foremost, CSAA Insurance, Nationwide/Allied, USAA, Allstate, Liberty Mutual/Safeco and Travelers. It said 10 companies agreed to pay less than 50 percent or didn’t change their claims-handling policies, and three companies including Progressive did not respond to the request. Allstate said it is providing “100 percent of an insured’s claim without requiring an inventory of personal property, provided that the policy is a personal lines policy with replacement cost coverage and the claim is a covered total loss,” unless fraud is suspected. Customers who get an advance representing less than 100 percent of their policy limit can still pursue the remaining amount if they submit an inventory and if necessary, replace lost items, said Janet Ruiz, a spokeswoman for the Insurance Information Institute, a trade group. Nancy Kincaid, a spokeswoman for the insurance department, agreed that these amounts represent an advance, not a settlement of the claim.